Cooperative Educational Services: The Leadership Institute at C.E.S. The Leadership Institute is funded by membership dues from participating school districts, fees for services, and grants to be sought from public and private sources. The Leadership Institute is market responsive and its continued existence will depend on the willingness of school systems and school leaders to use its services and programs based on a proven quality of experience. 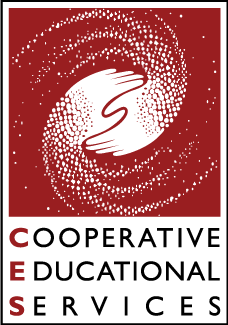 Cooperative Educational Services in collaboration with the Leadership Institute's Board of Trustees will execute programs which meet the specific assessed needs of school leaders. $500 per person for a Non-Member of the Leadership Institute. The C.E.S New Administrator Induction Program is a two-year, standards-based support program for any administrator who is either new to his/her position or experienced but new to his/her district. This program is intended to complement district orientation programs. Components of this program include district assigned mentors, training for mentors, a regional network of collegial support, and a series of professional development opportunities designed to be responsive to the needs and interests of this group. Supervision and Evaluation CEU's are awarded for participation in this program. For more information, call 203-365-8847. The C.E.S. Administrator Aspirant Program is intended for teachers who have leadership potential and may be contemplating a career in administration. Participants will meet and dialog with outstanding administrator role models and learn “first-hand" by attending four days of seminars as well as shadowing administrator practitioners in our region. Application deadline is prior to the end of each school year for participation the following year. For more information, call 203-365-8847 or click here. In collaboration with CABE, C.E.S. offers two forums for Board members and district personnel on major topics of interest for school systems. Previous programs have been offered on No Child Left Behind, the new conception for achieving high school credit, and the standards movement.